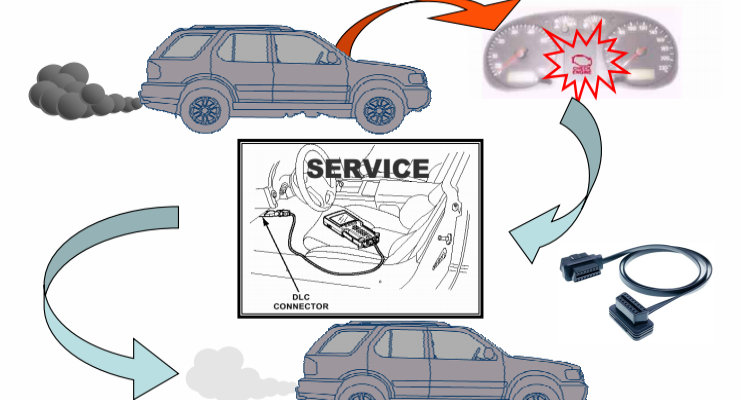 At the beginning of OBD, it was only to monitor whether the emission of exhaust gas exceeded the standard. 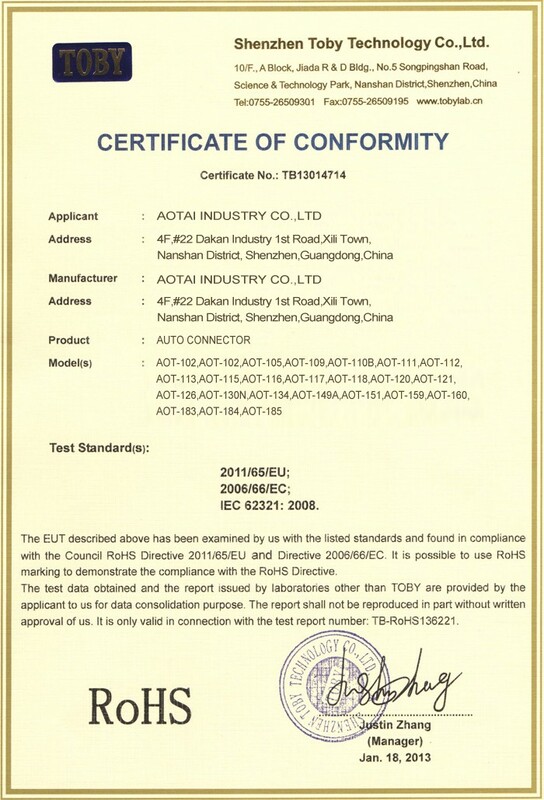 With the increase of regulatory requirements for environmental pollution emissions, the continuous development and innovation of vehicle networks and smart cars, the expansion of OBD functions has become more widespread in the field of passenger vehicles. 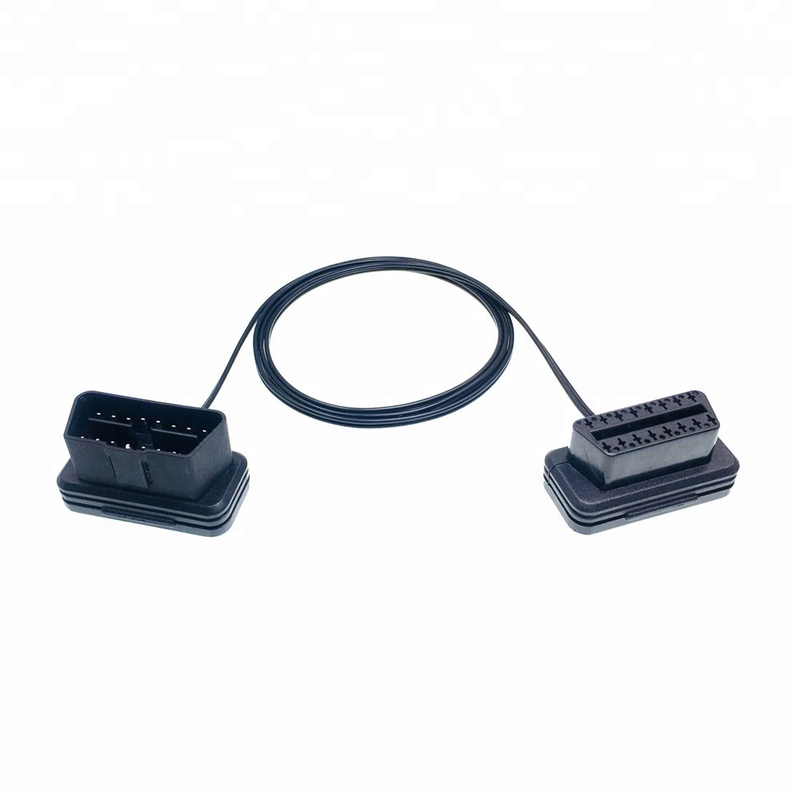 The use of the OBD extension function is closely linked to the willingness of the majority of vehicle owners to consume, driving habits, the ecological environment of the car network, and the support of the automobile industry. 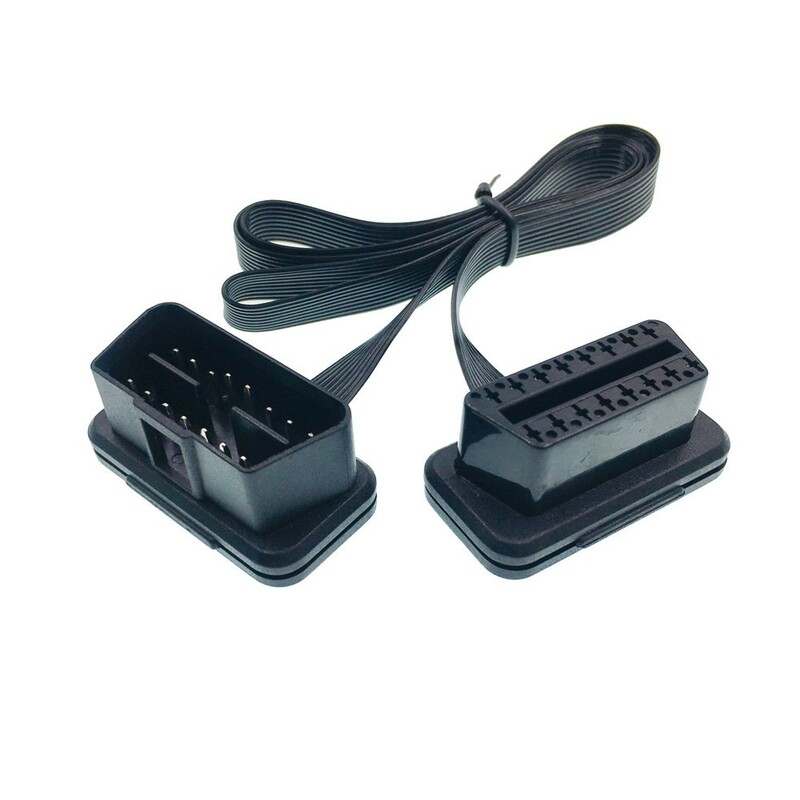 Therefore, the OBD function expansion and application of the road is a long way to go. 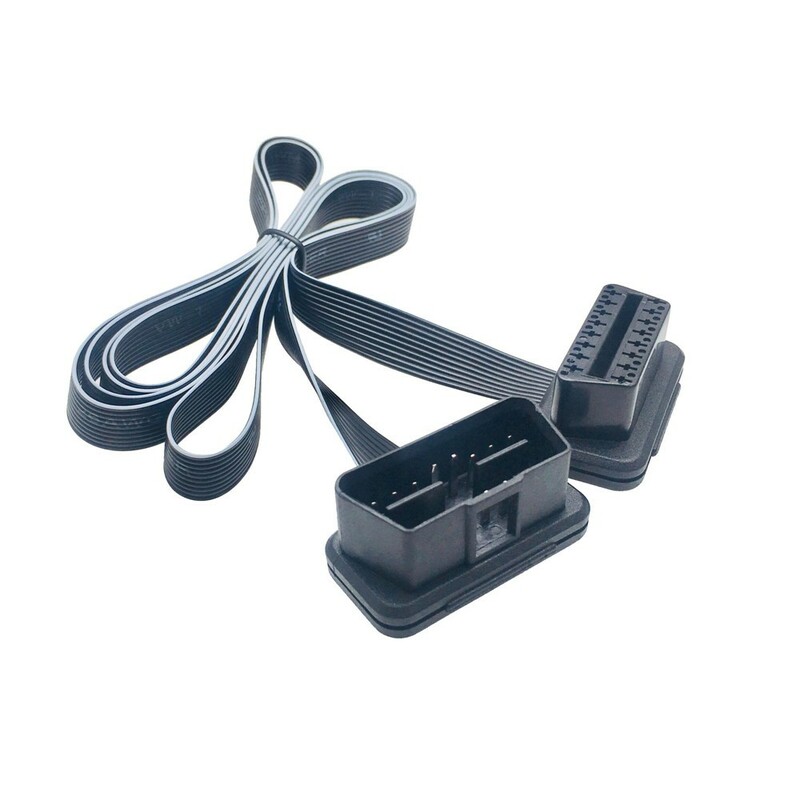 - Pin-out information and cable specification can be customized. - Materials of connector and cable comply with UL and ROSH standards. 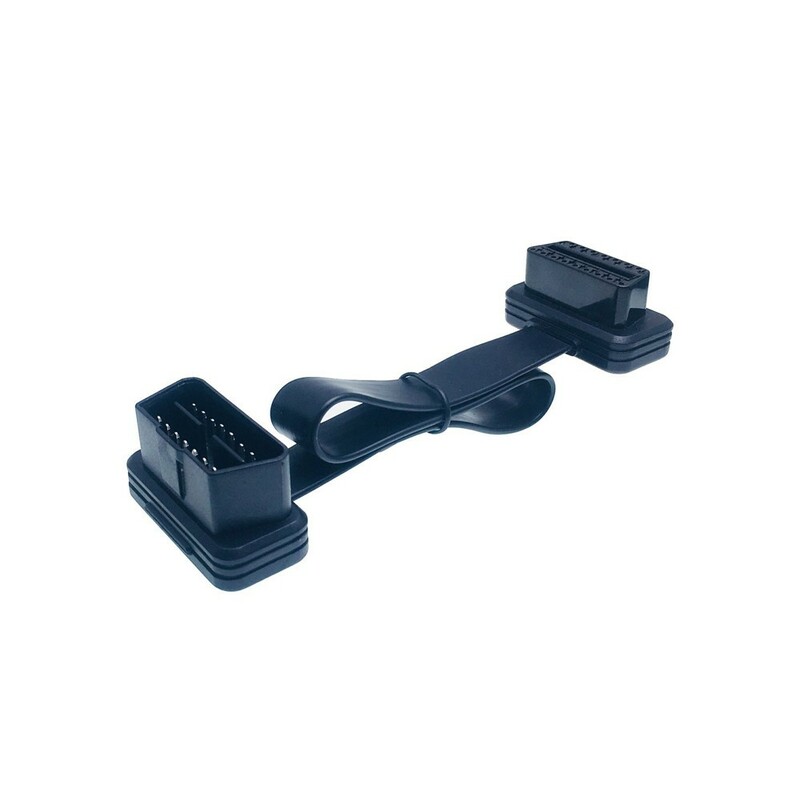 16pin full wires male to female extension cable . 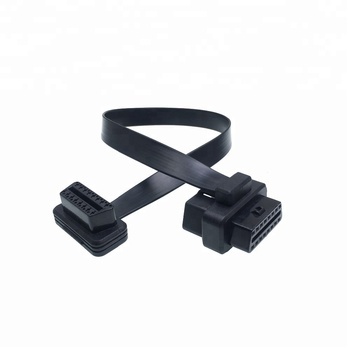 9PIN OBDII male to female extension cable . 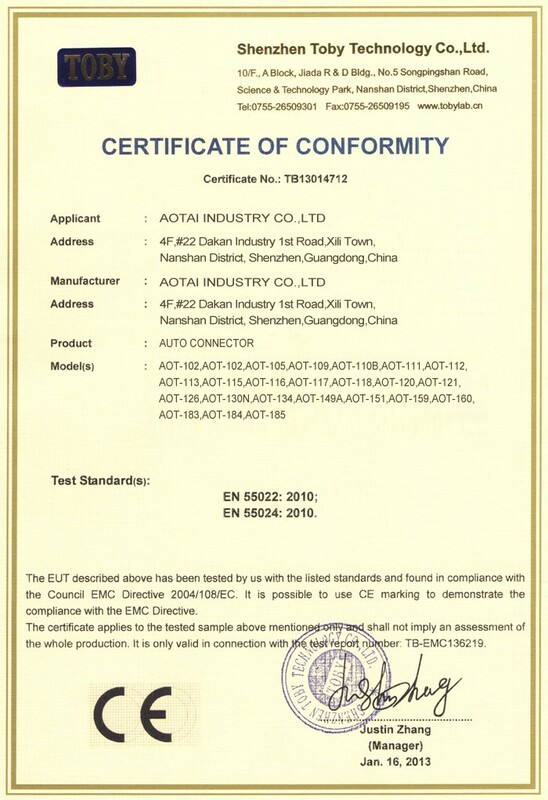 2,4,5,6,7,10,14,15,16 pinout (wire out ) information . Lowest profile 7mm . 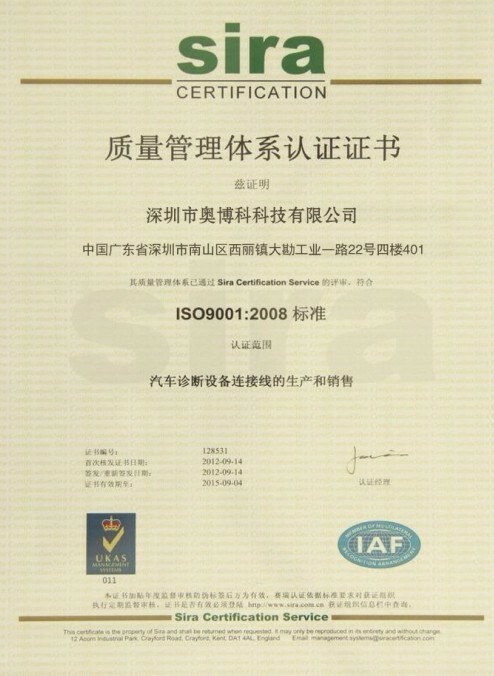 L=1M . 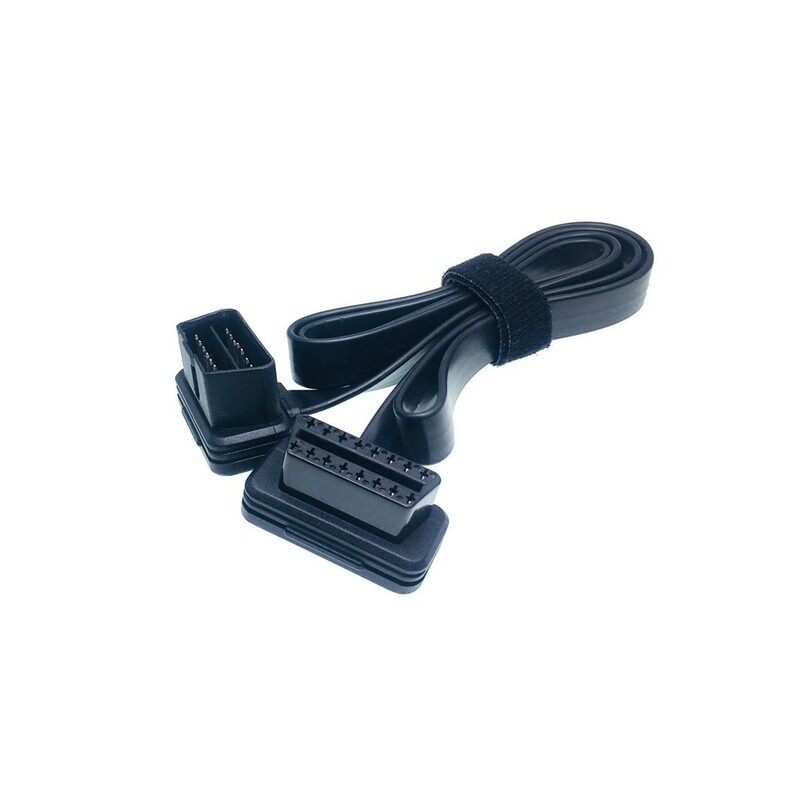 8PIN OBDII MALE TO FEMALE EXTENSION CABLE . 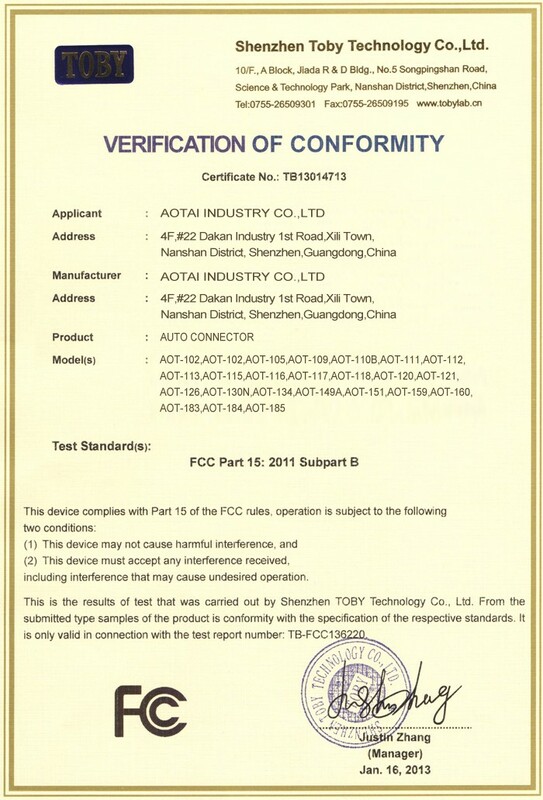 2, 4&5,6,7,10,14,15,16 pinout ( wire out ) inforamtion . 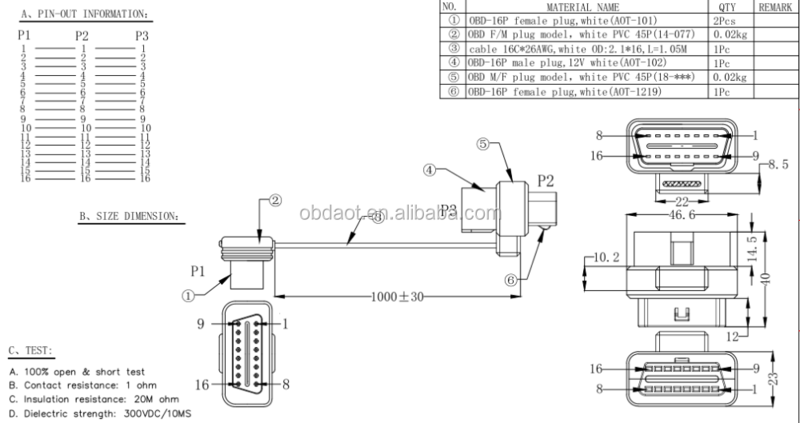 8C 28AWG 8.7MM*2.5MM L=1M . 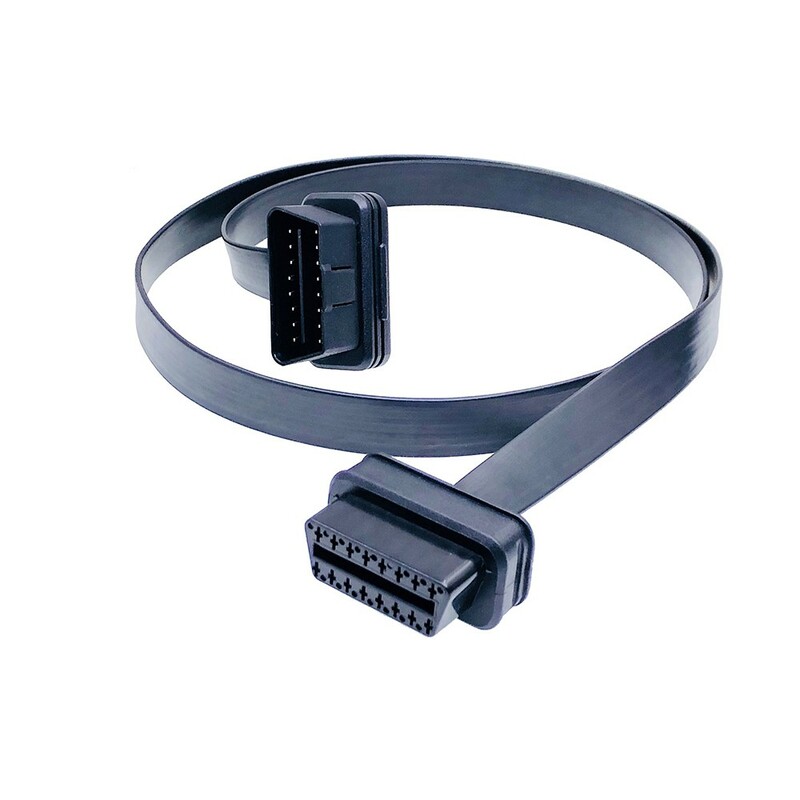 16pin or 8pin OBDII MALE/FEMALE PASS-THRO TO OBD2 FEMALE CABLE . 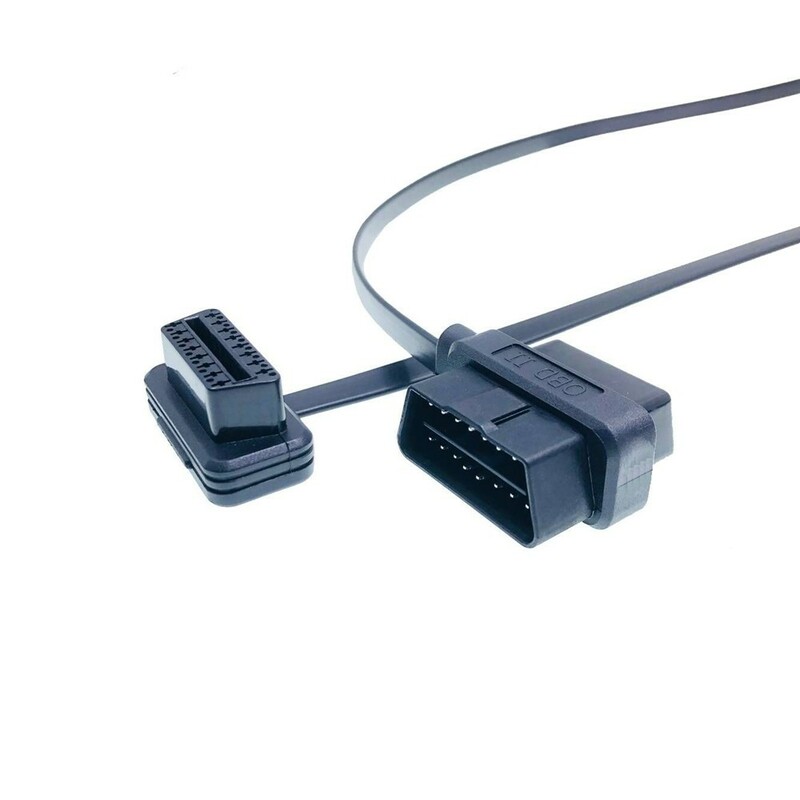 FULL PIN 1:1 CONNECTED . 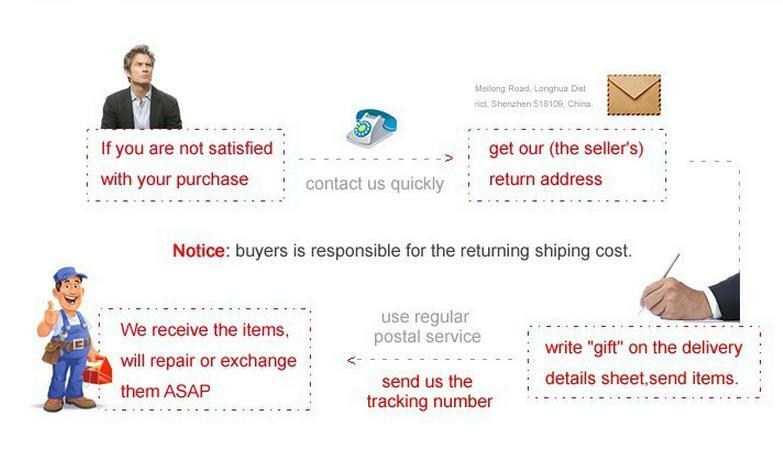 The normal package is carton(Size: L*W*H). 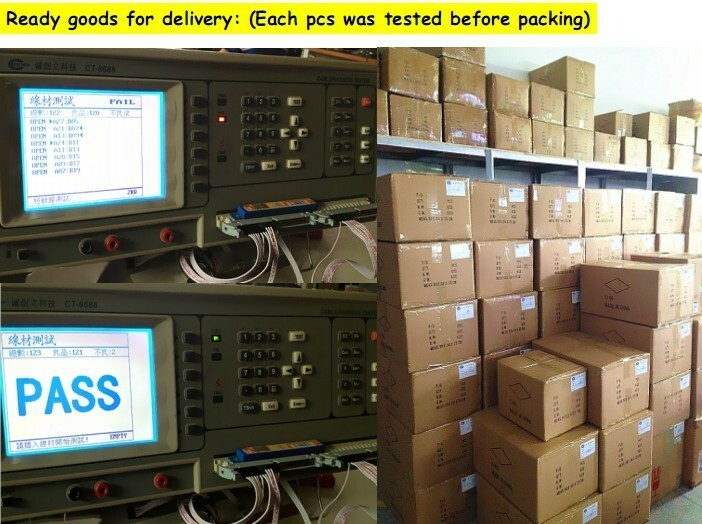 150~180pcs/cartons . 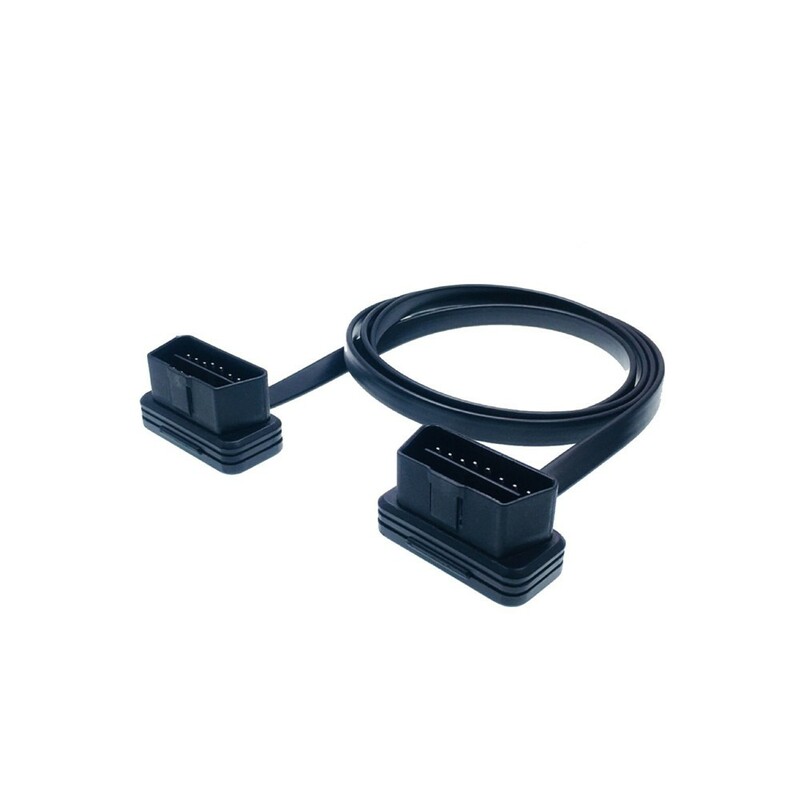 Ecah cable with each bag . 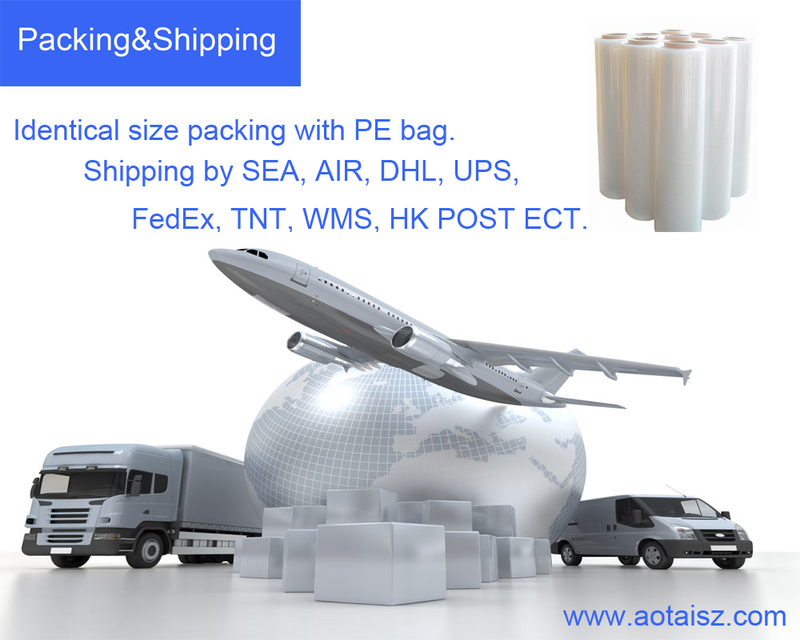 The normal shipping is by DHL/UPS/FEDEX / express . Or can do by air and sea .